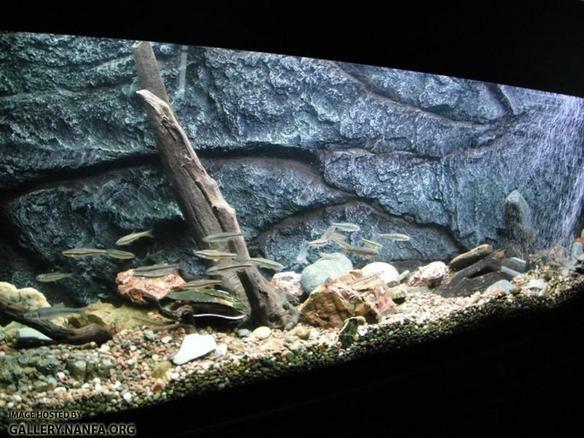 fish tank picture - 125gal US Native Fish Aquarium: Stocked with Shiners, Darters, Madtoms, and others. 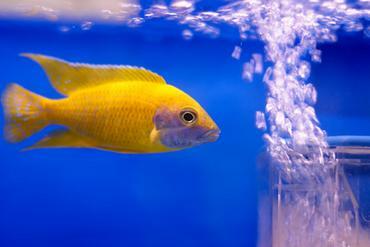 Everything in the tank was personally collected and native to the Southeast U.S. Description: 125 Southeast U.S. 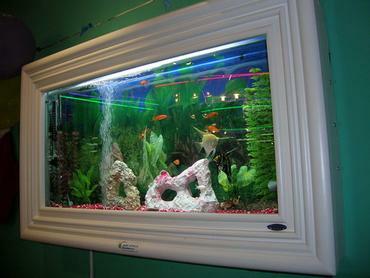 Native Fish Tank. Designs By Nature background. 3 large canister filters. Custom built stand and canopy. T8 lighting with Cold Cathod Moonlighting. 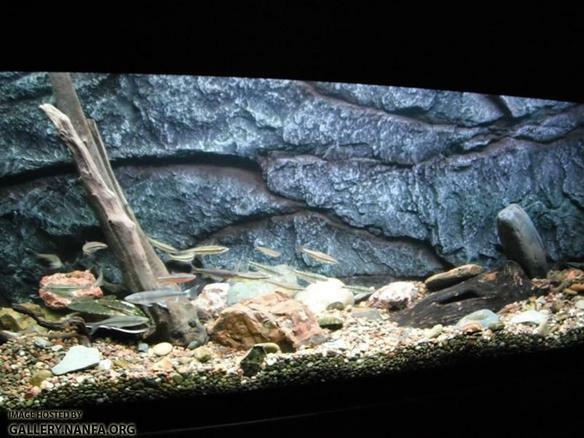 Everything in this tank was personally collected by me; the fish, rocks, driftwood. Corals/Plants: Every rock in the tank was specially picked and unique in it's own way. 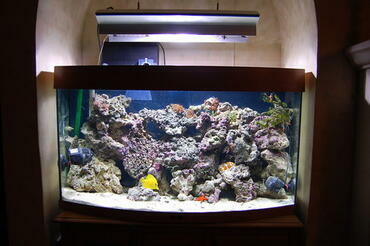 From iron banded sandstone to Quartz Geodes, there is a great array of rocks in this tank. I hand selected all these rocks based on their unique qualities. 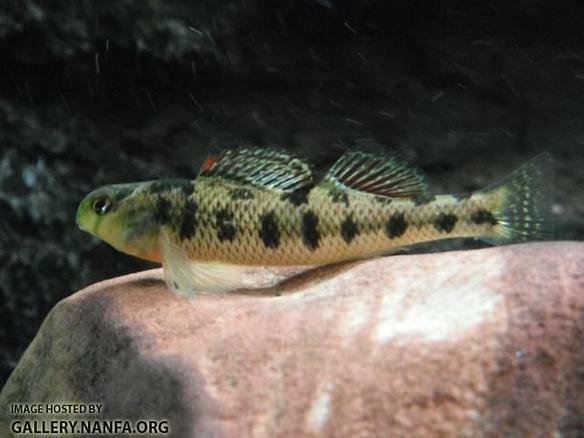 About Yourself: US Native Fish are unique and great to keep in the home aquarium. 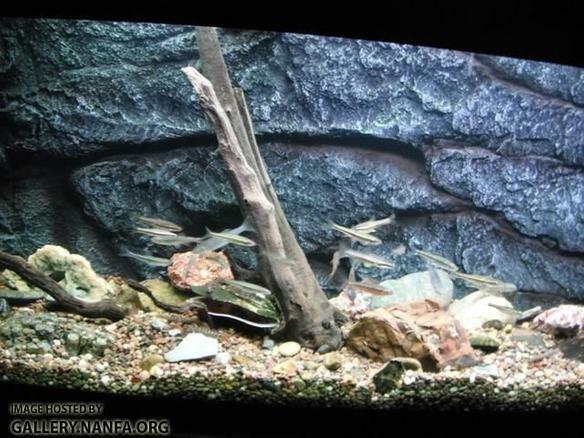 Please visit the North American Native Fishes Association @ www.nanfa.org.